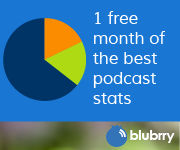 Over the years since podcasting started, there were several “free” podcast hosting and total solution podcasting services that have come and gone. In reality, it doesn’t cost too much start out right. Instead of starting out on a free service and then realizing you want to stick with podcasting and having to go though a big pain in the rear to switch. The same can be said for paid services. Some of them will hold your feed captive. What I mean is they will have your feed submitted to iTunes (and other directories) and when you quit paying them, not only do all of your episodes go away but your feed goes away. They will not redirect it to another feed so your subscribers are just left hanging and you have no way to tell them the new feed. Services like Blubrry.com and Libsyn.com can do everything for you and if you want to change later, they will put in a redirect for you. Places like podbean will not. This week’s question comes from someone with the problem we have been talking about. 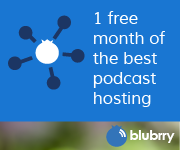 Q: “My podcast is hosted on Podbean and I want to move to blubrry.com and my own wordpress site. How do I keep my subscribers? IF the service you are on will do a redirect, have them redirect your RSS feed to your new feed once you get it setup on wordpress. In this case, because I know that podbean will NOT redirect and since you haven’t made the move yet, we can save *most* of your subscribers. Or at least the ones that are really engaged with your show. 1. DON’T Cancel your podbean account yet. 2. Get your wordpress / powerpress site setup and your blubrry hosting setup. 3. Post your show in BOTH places but in the version you put on Podbean, put an announcement in the beginning and at the end that says the show has moved and after X date, you will no longer get new episodes on this feed. If you are hearing this announcement you need to re-subscribe at (give website address) *** Make sure you have a big SUBSCRIBE message at the top of your page for the people that come over from hearing your podbean episode. 6. After itunes accepts your new show listing, go in and change the title and description of your new listing and click on “report a concern” and select Out of date on your OLD show listing. 7. Delete your podbean account. There are free “podcasting” type things that I like to compare like blogs are to twitter, these services are like twitter for podcasting. Kind of a social micro-podcasting thing. These are AudioBoo and iPadio. These are kind of an addition to your podcast if you choose to do it and shouldn’t be your MAIN podcast. If you would like me to answer your question on the show, call in a voicemail at 702-757-1104 or click on the voicemail tag on the side of the website.